With none of her children living close by, a nonagenarian widow had been finding life pretty lonely. But fortunately, that has all changed, thanks to the instincts of one very lovable but huge puppy. Sally Rewehooeern lost her husband in 1990, and she has lived on her own ever since in Mount Vernon, Washington, while her family is scattered all across the United States. 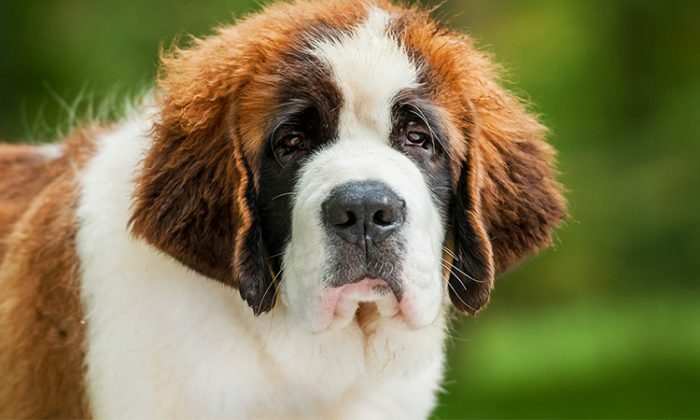 When her next-door neighbor Dave Mazarella lost his old dog named Blizzard early in 2017, the family adopted a young puppy named Brody—and the adorable Saint Bernard soon found his way into Sally’s yard, seeking her out. It seemed as if he knew there were some big shoes to fill. Brody seems to have a special bond with his elderly neighbor, and he is certainly keeping her spirits up. Watching the news with Sally. “He just wanders round into my house on his own whenever he fancies it which takes me back to my days growing up on farms surrounded by dogs in Holland,” Sally said. Sally, a Dutch immigrant, developed a soft corner and love for animals during her childhood spent on her family’s farm. She and Brody absolutely light up each other’s days … or should we say lives! Brody loves to go for walks, get tummy rubs, and just hang around with Sally. “I’ve never seen such a big puppy, soon he’s not even going to fit through my living room door,” Sally said. It is often the small things in life that can make all the difference, and visits from the neighbor’s dog are just the medicine the doctor ordered!